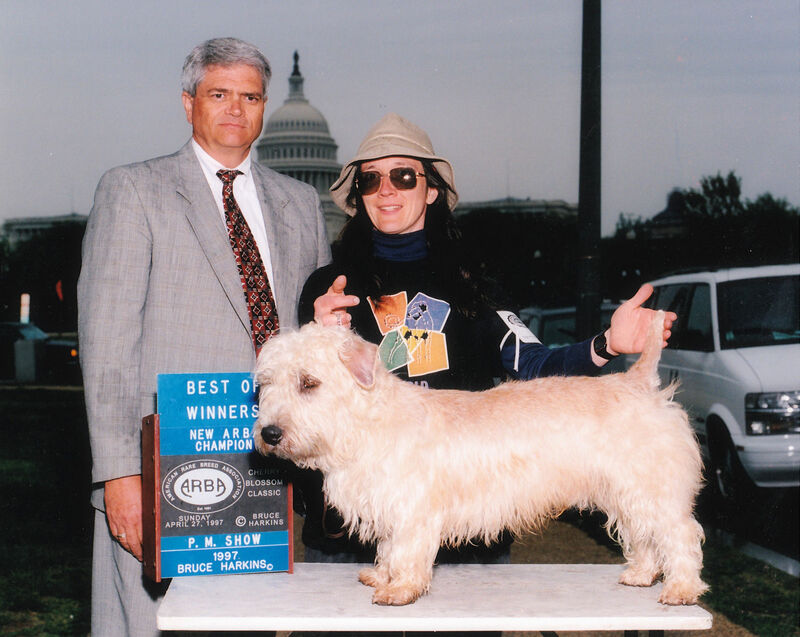 The American Kennel Club, or AKC, is by far the largest dog show organization in the United States. 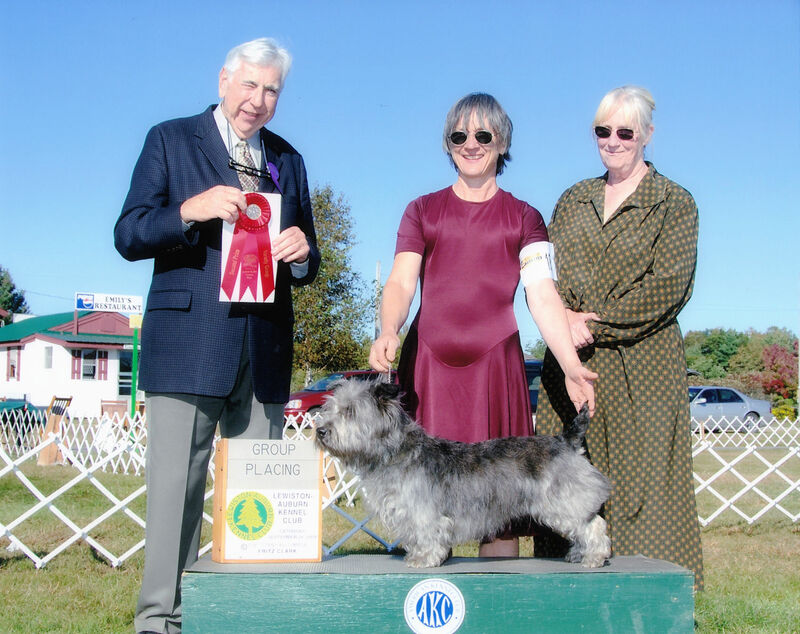 There is also the United Kennel Club, or UKC, which also holds both conformation and performance events, in a more relaxed, less formal atmosphere. 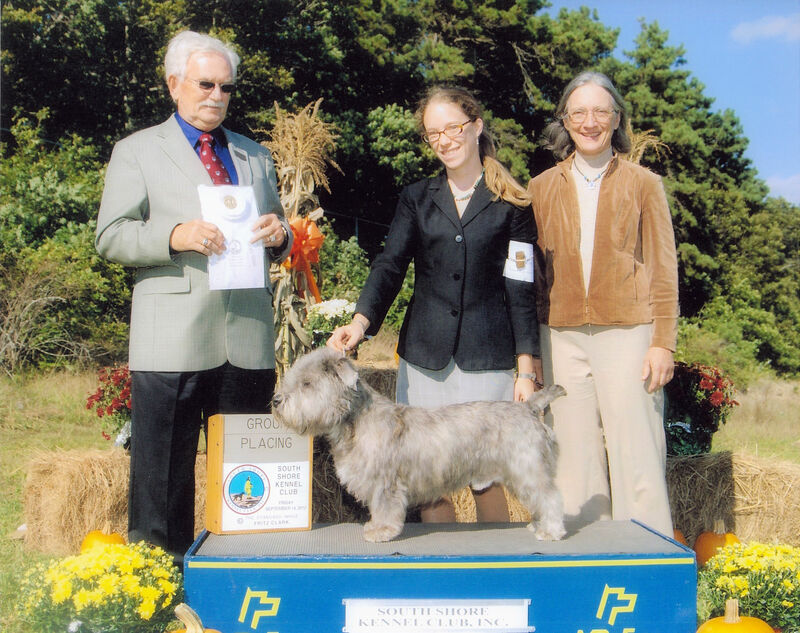 And before Glens became officially recognized by AKC in 2004, I traveled up and down the east coast so I could show my Glens in the American Rare Breed Association shows, or ARBA. 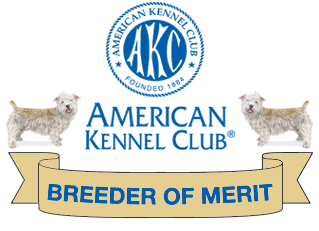 The advantage of AKC is that now I don’t have to travel so far to show my dogs, and I can show much more often if my schedule allows. 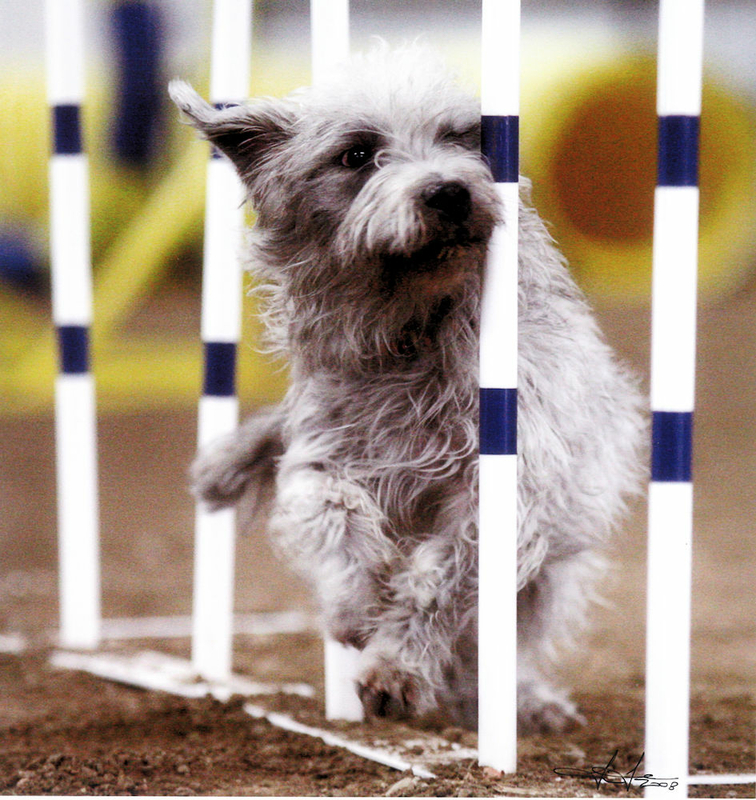 Outside of the US, many countries that hold dog shows participate in the umbrella organization Federacion Cynologique International, or FCI, where participating dogs can earn both national and international titles. 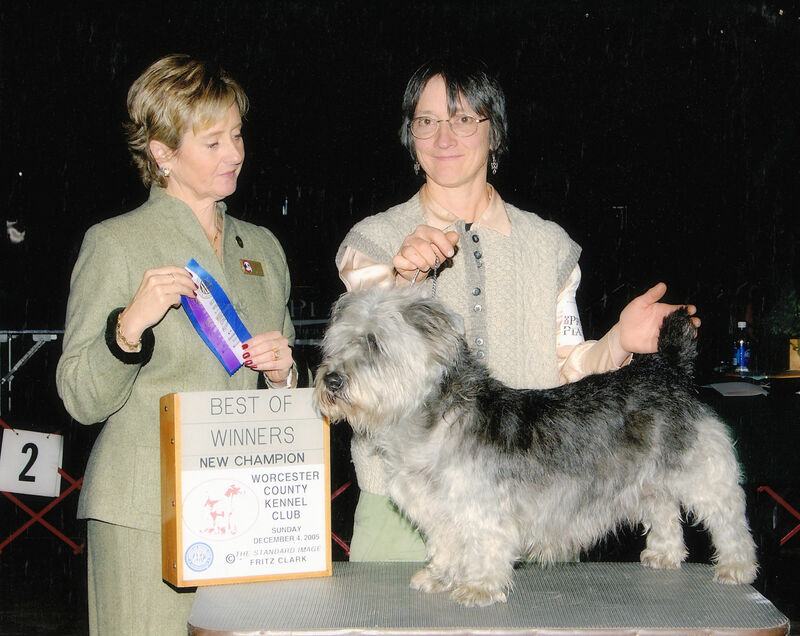 I personally show my own dogs (owner-handlers are required in UKC shows). I’m not the most skilled exhibitor but I try to have fun. 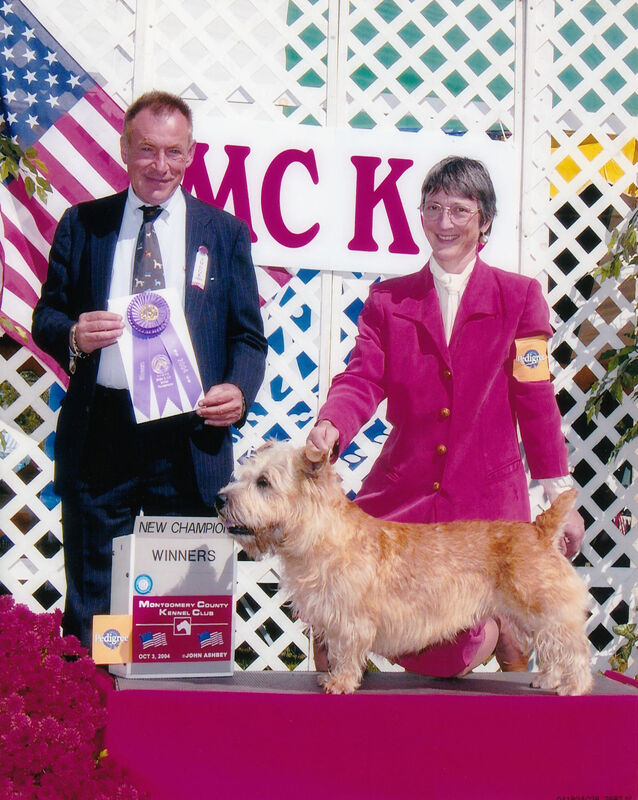 This is a picture from 2003, one of the first shows when Glens were allowed to compete in AKC’s Miscellaneous Class, prior to full recognition. 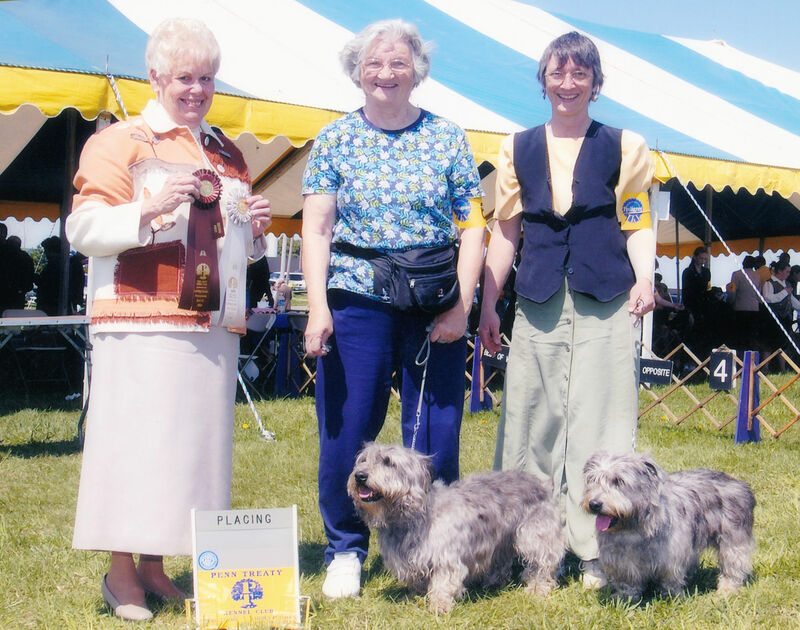 Mrs. Peggy J. Haas was the judge, next to her is my beloved and dearly missed late mother, Mabel Beal Meyer, who helped me for years by so graciously and promptly answering my email dog inquiries and who accompanied me to many dog shows, just so we could spend some time together. And then there is me. 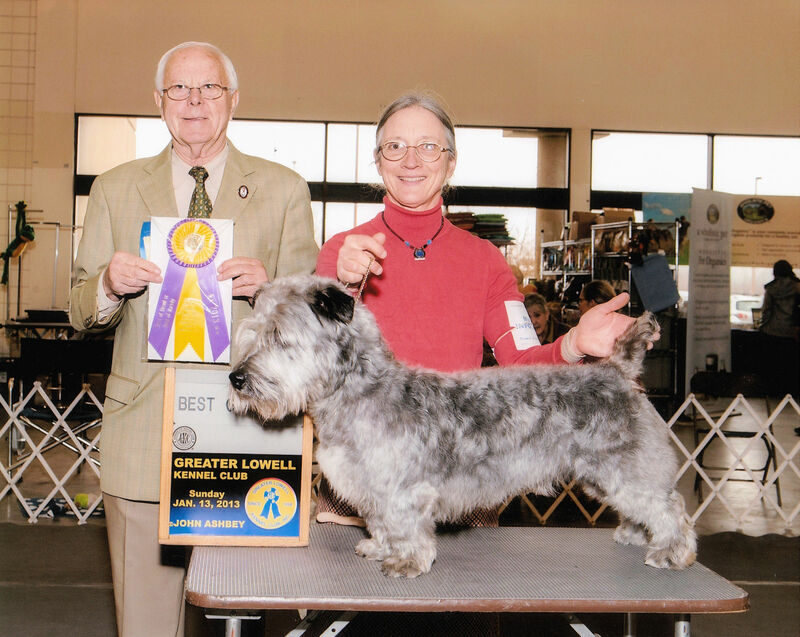 The Glens are Seyla and Maizey—Mom’s holding Finnabair Seyla, and I’ve got Liberty’s Mayflower. 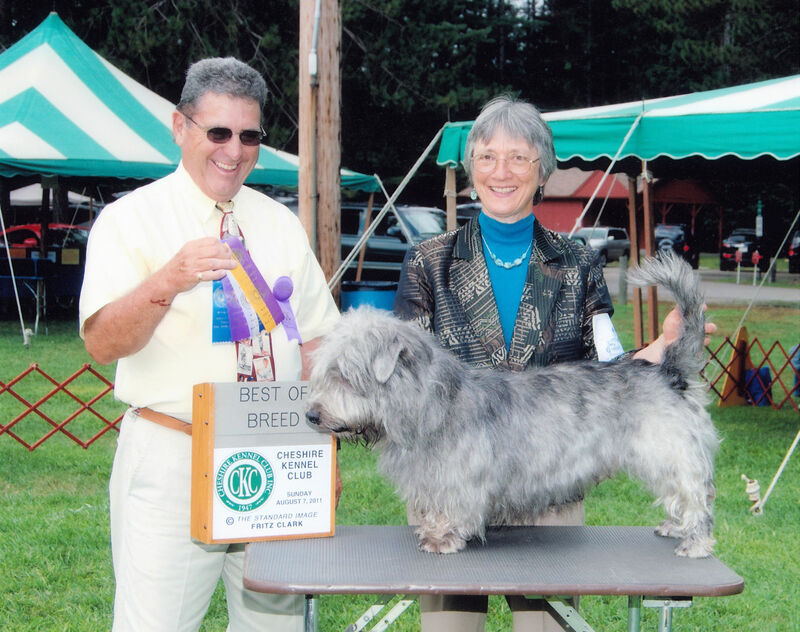 Below is a list of Glens I have owned or bred that have Championship and/or performance titles. 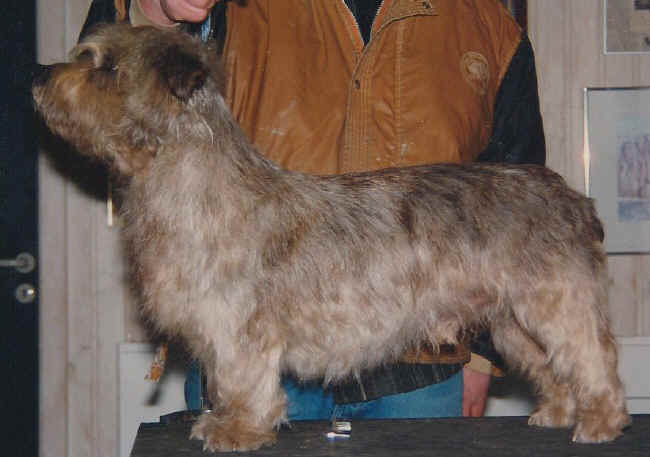 Dogs with links have pictures. (It’s taken awhile for me to learn the importance of pictures!) 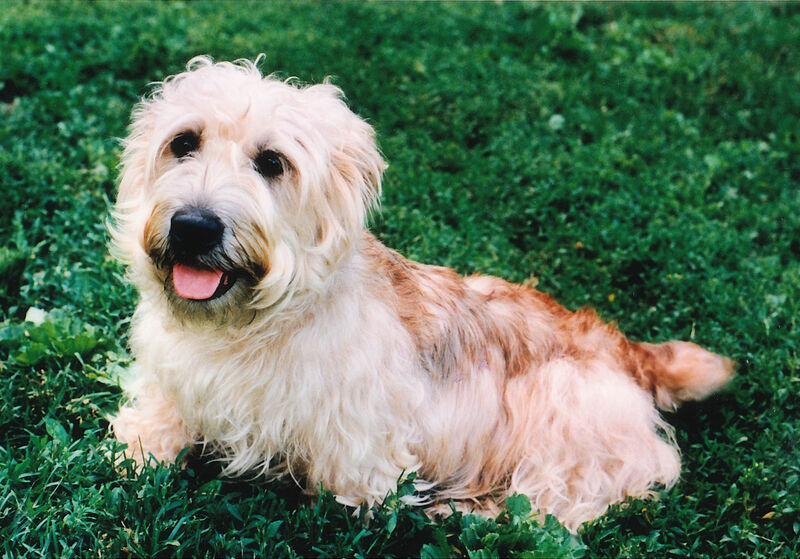 Glen Farm and Liberty are my Kennel names, meaning those dogs were bred by me.